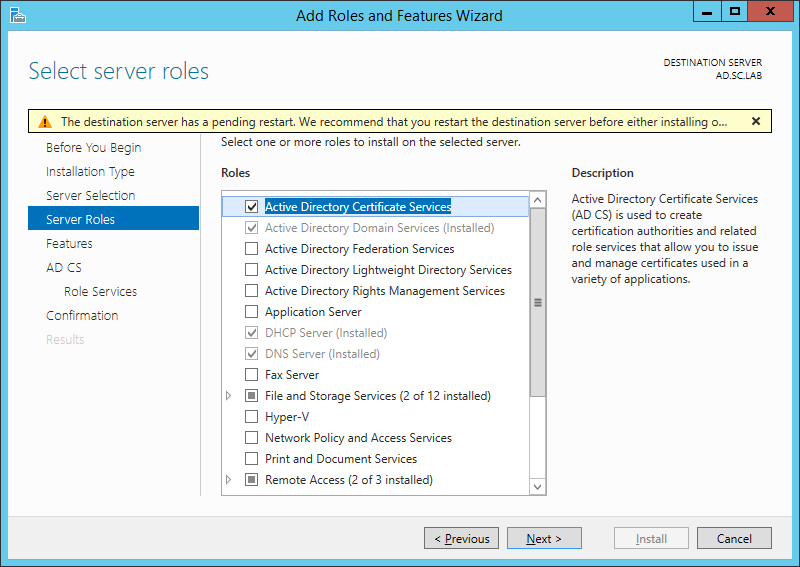 Ensure that you are logged on to your server as an Administrator. 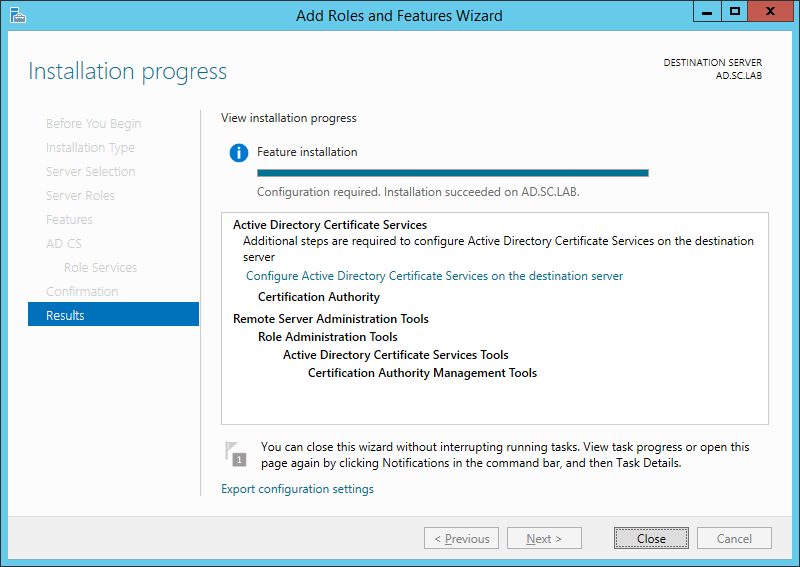 Click on Manage and then select Add Roles and Features. 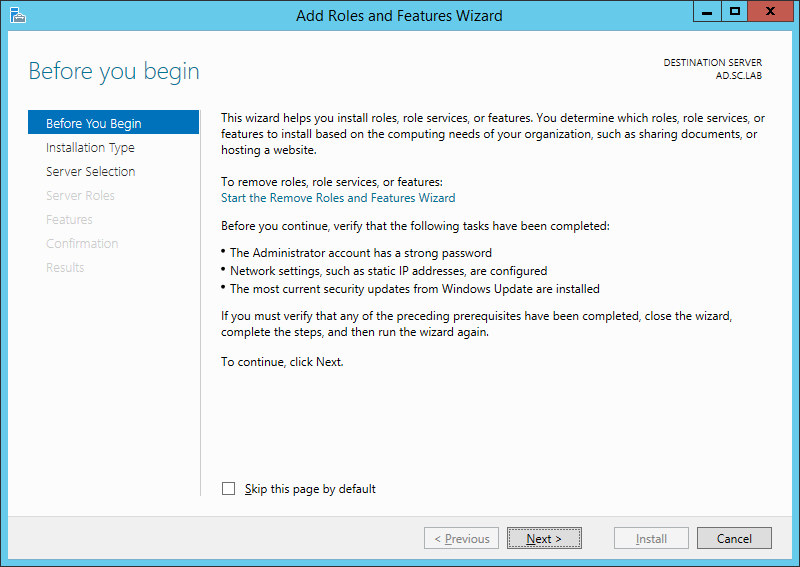 On the Before You Begin page select Next. 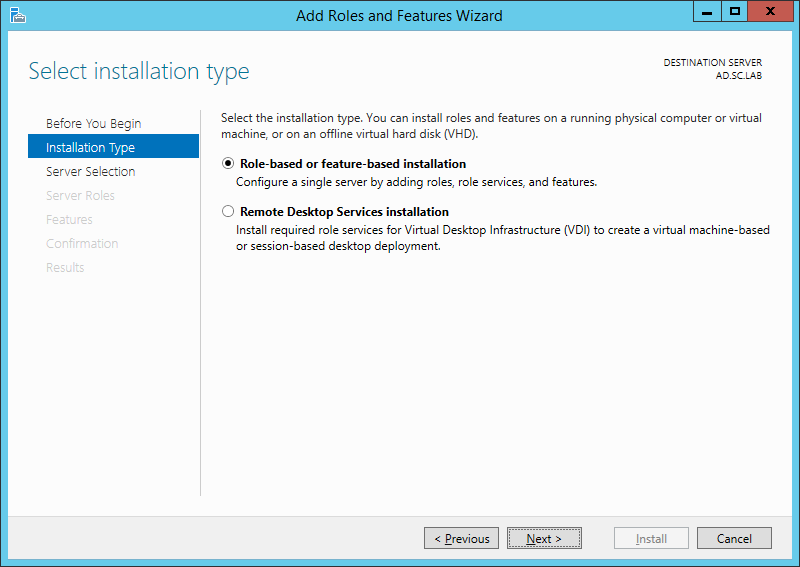 On the Installation Type page select Role-based or feature-based installation. 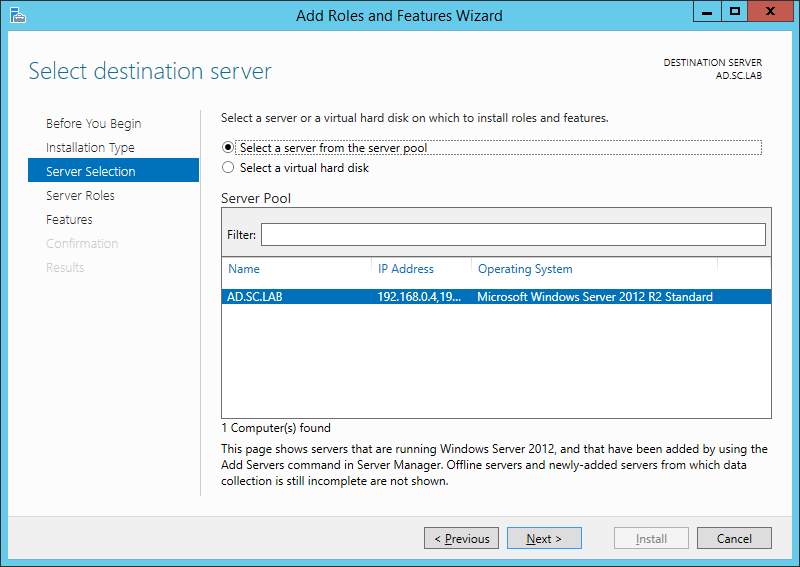 On the Server Selection page ensure that the correct server is selected. 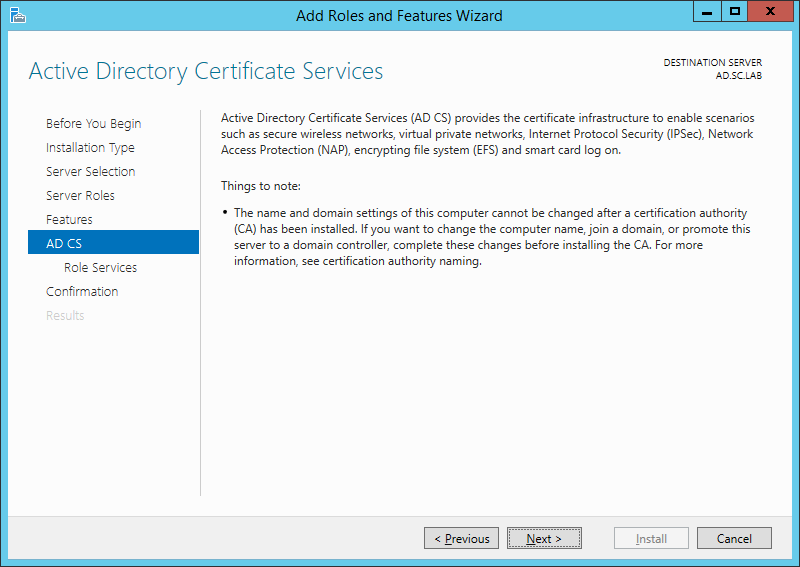 On the Select Server Roles page select Active Directory Certificate Services and then click Next. 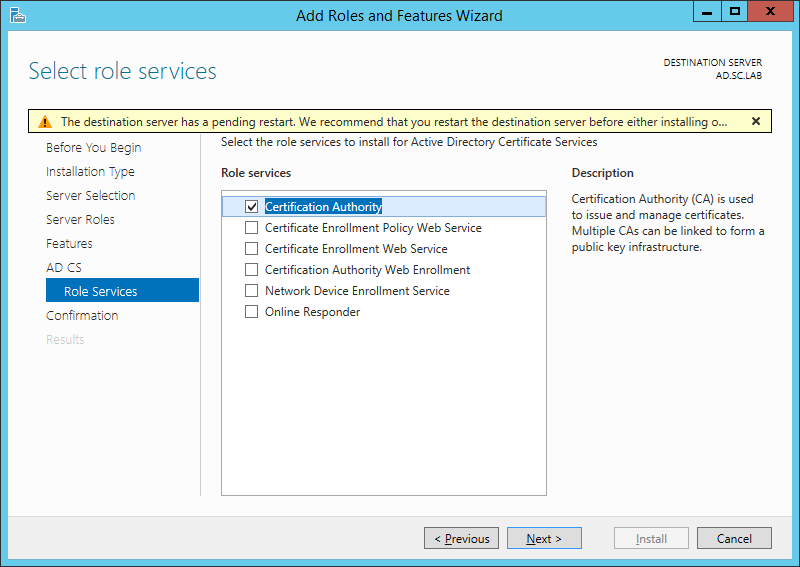 On the Select Role Services page, ensure that Certificate Authority is selected, and then click Next. 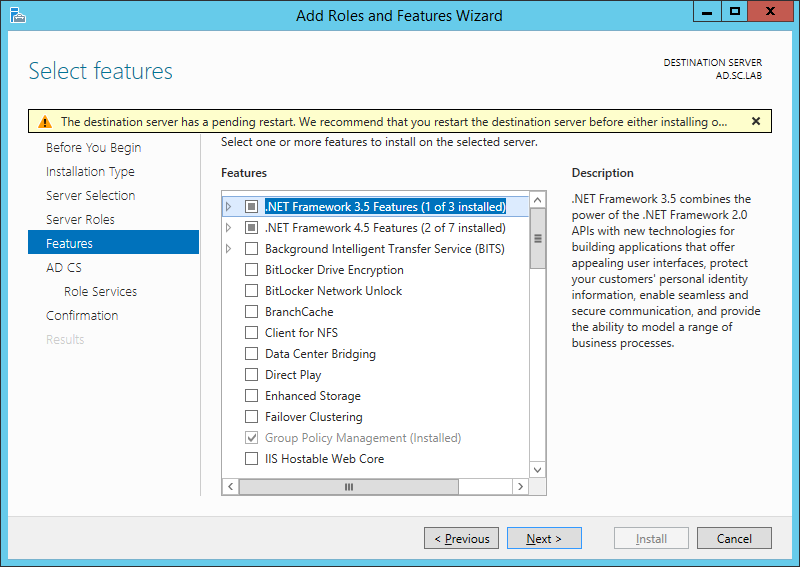 Once the installation is complete, we need to do some post-deployment configuration.